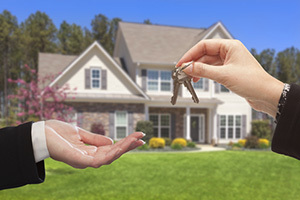 You should consider all of your options when you are facing the threat of foreclosure. There are federal programs that may make your situation easier. One of these is a mortgage modification under the Home Affordable Mortgage Program. Another is the Home Affordable Foreclosure Alternatives Program (HAFA). At Pulgini & Norton, our real estate attorneys can advise homeowners in Boston on whether either of these two options may be useful for them. The Home Affordable Foreclosure Alternatives (HAFA) program is part of the Home Affordable Modification Program (HAMP), a federal program. The HAFA guidelines only apply to requests made by borrowers who have applied for a loan modification through HAMP. This means that borrowers must go through the HAMP procedures before being approved for HAFA assistance. The HAFA program allows borrowers to leave their properties through two possible means, a short sale or a deed in lieu of foreclosure. Short sales require you to sell your house for less than what you still owe on your mortgage. A deed in lieu of foreclosure exists when a lender agrees to take a property deed rather than foreclose in order to get title to the property. There are downsides to private short sales and deeds in lieu of foreclosure. In an ordinary short sale, for example, the lender can get a deficiency judgment after the short sale for the balance that is still owing. However, with a HAFA short sale, the lender approves the terms before the sale is listed and accepts payment in full satisfaction of the outstanding balance on the mortgage. You would be released from the deficiency and would get a certain sum in moving expenses. There are some downsides to a HAFA short sale. If the home does not sell in a short sale, the homeowner needs to sign a deed in lieu of foreclosure, which requires him or her to transfer the home to the bank if it does not sell. There can be no other mortgages or liens on the property for this option. The lender sets the price for the property, and the agent may not set a good list price, which will result in no repercussions if the agent cannot sell the property at that price. You have a clean felony criminal record. HAFA is available for Fannie Mae and Freddie Mac mortgages, as well as other participating lenders. Once the HAFA transaction is complete, you may be eligible for relocation assistance. All loan services that participate in HAMP can implement HAFA according to their own policies, which are developed on the basis of investor guidelines. At Pulgini & Norton, our lawyers can counsel Boston residents about home financing options, such as the HAFA program. We provide diligent representation related to real estate matters in Weymouth, Andover, Hyde Park, and other cities in Massachusetts. Call us at 781-843-2200 or contact us via our online form for a free consultation.